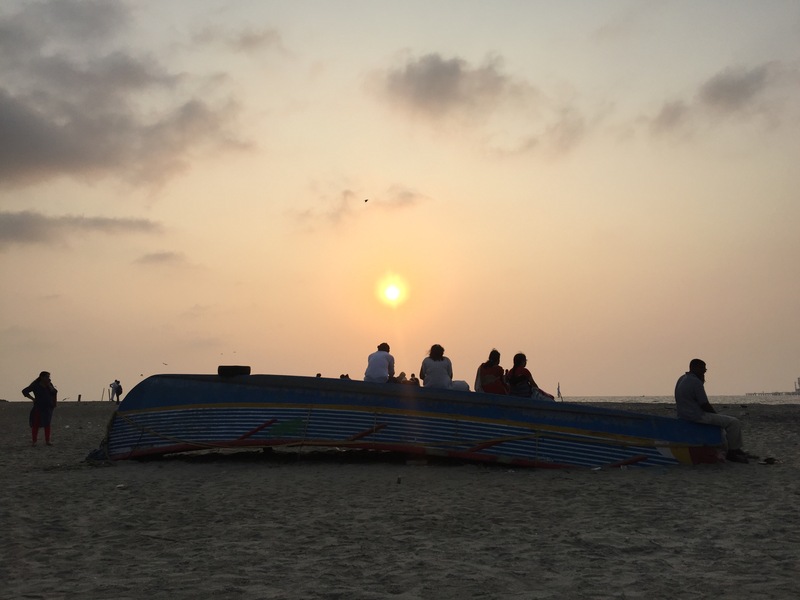 The final leg of our 36 day Indian adventure saw us arrive in Kochi on a 9hr day train. Decent leg room and only minor delays meant we arrived in good spirits for our final few days in the bustling port city of Kochi. 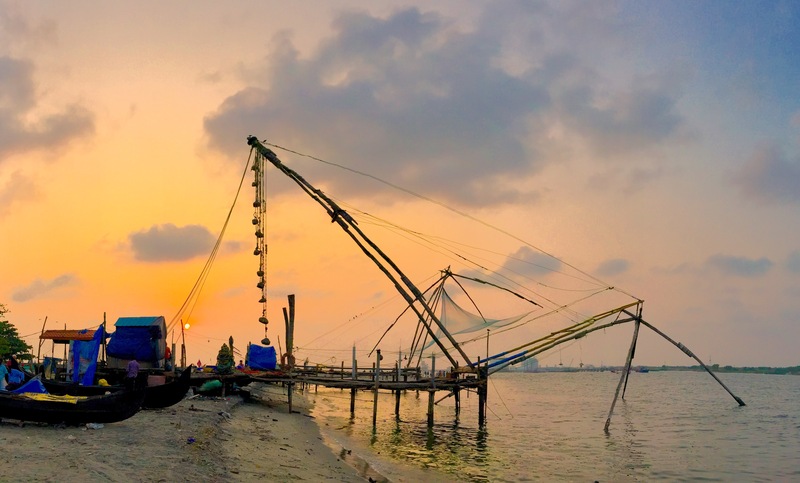 Kochi has grown from a sleepy old colonial backwater into a main stream cruise ship destination – bringing with it an influx of cash and a visible boost to the local economy. It also meant that prices were inflated and many parts of the town, while retaining their colonial charm, were now tourist traps. 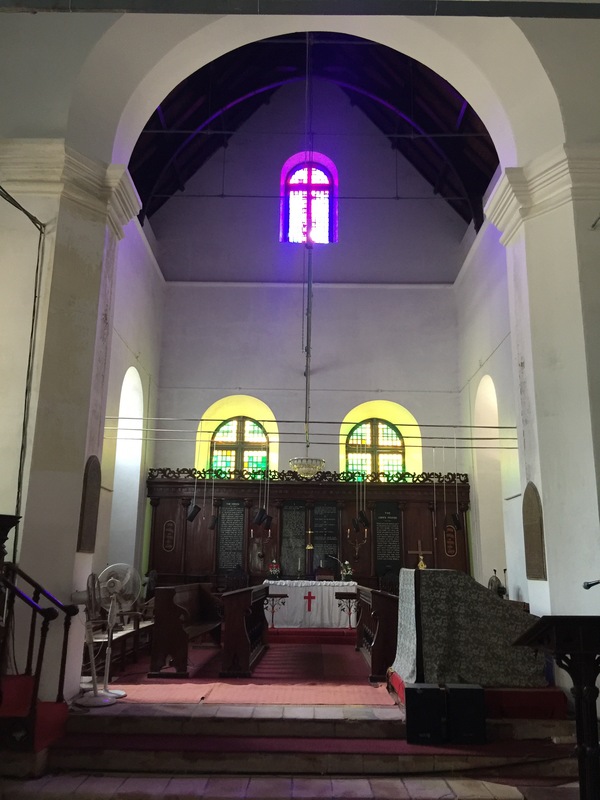 First off was a quick orientation tour, starting with a visit to St Francis church, also known as Vasco de Gama church after the late Portuguese explorer who was originally buried here after dying of pneumonia while visiting in the 16th century. His tomb is now empty after his son reclaimed his body some 14 years later and returned it to Lisbon. The quiet streets of Kochi are lined with spectacular trees, casting shade on some stunning colonial era houses and social clubs – many are now high end restaurants and hotels. Next we took in the sea front with its famous Chinese fishing nets and dozens of stalls selling fresh fish and fruit. The design of the magnificent mechanical fishing nets is something to behold – teams of four or five men heave the counter balance ballast, made of large stone slabs, hoisting the massive nets in and out of the water. We wandered across the small beach, littered with the remains of the catch of the day and hundreds of crows, cats and dogs picking through the leftovers. Across the waters we could see Lord Wilmington island, a British-made island that now served as a fishermans colony and divided the river where salty ocean and fresh water river met. Beyond the island were the large industrial buildings of the port – cranes, oil silos and the likes. After walking through the sea front stalls we jumped in a tuk tuk to Jew Town, a hub of tourist shopping and some notable historical sites including the Dutch Palace (actually built by the Portuguese) which serves as a museum focussing on history of the local rulers. We also paid a visit to a Jewish Synagogue – the oldest in the Commonwealth – although the local Jewish community has declined from thousands to just five worshippers in their sixties and older. Our final stop was for lunch at the Dal Roti restaurant – the recommendation was to try their world famous Kati Roll, a North Indian cuisine which looks like a wrap with puff pastry. They were every bit as good as the reviews suggested, a bargain lunch at Rs.150 per roll, and so good in fact that we went back the next day for more! The humidity in Kochi reaches up to 80% with temperatures of around 35c, making even a short stroll guaranteed to have you perspiring. Afternoon showers and naps done, we split up for the evening – Jamie to a local dance production and Mike down to the beach to get some sunset shots of the fishing nets. The Kerala dance production is a famous local tradition, featuring some rather odd fat men, covered in makeup playing out a variety of weird and wonderful stories using exaggerated eye and facial movements. For Rs.300 the appeal is more as an oddity than for its limited entertainment or artistic value – if you’re short on time this might be one to miss. After a final Group dinner we said goodbye to our CEO Muthu and our travel companions, sharing a beer with John who had been with us for five weeks since Kolkata. New friends made. Our last morning was a final chance to say goodbye to India – a last minute panic shop so we could buy at least one item from idea, an elephant bed spread. Then it was off to Kochi airport for our flight to Singapore.